700Tm Treadmill is the top quality treadmill of diamondback that includes both a wireless heart rate receiver and contact hand grips. 2 large LED data displays for Speed & Incline displays. Random Hills program with unlimited computer generated programs. Elevation Motor: Thermally protected linear actuator. Built-in reading rack and accessories holder. Numeric Quick Keys for quick adjustment. Built in Polar® compatible heart rate receiver. Normal wear Items: 90-day limited on foam grips, etc. 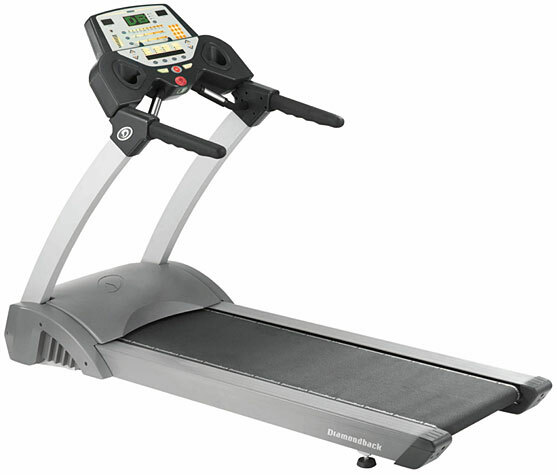 TreadmillDoctor.com 7.68 out of 10 A very strong unit at a strong price point. If you are a runner, consider this one. *Note: Most of the sites, stores or shopping portals listed above sell Diamondback 700Tm Treadmill with discounts and other exciting offers. There is a possibility that the some of above websites are not selling Diamondback 700Tm Treadmill now. Toughtrain.com is not liable for such cases or instances. Also we do not recommend any seller for Diamondback 700Tm Treadmill and a buyer should buy from where he/she gets best deal with quality of products, service and on time delivery (shipment). How would one go about obtaining warranty on motor for a 700tm? Purchased approx 10 years ago. We are pretty sure we completed the registration when it was purchased. The belt is also beginning to crack.